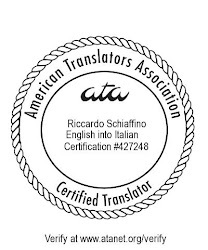 About Translation: Translation company or freelance translator? In this globalization era, translation requests can come from any part of the world in any languages. In order to satisfy that demand, a translation agency must be prepared for a wide range of languages and subjects. A solution is to assign jobs to freelancers. Require different linguists for TEP =Complicated, time-consuming management process. One contact for all TEP process. No long-term commitment. I am not even sure what they mean here: why wouldn’t interested parties be able to reach a long-term commitment with a freelancer? It’s just a question of negotiating and agreeing on terms. Inability to handle large, rush work load. This very much depends on how large is “large”, and how much of a rush is “rush”. It is true that an individual freelancer is likely not going to be able to do as much work in a given time as a group of translators - but many professional freelancers are able to take on larger projects by teaming up with trusted colleagues. Also, there is always a trade-off between speed and quality: a large project that needs to be completed quickly may need to be assigned to a team of translators, but a project of similar size that needs the best possible quality and consistency is better handled by a single translator and a single editor. Require different linguists for TEP (Translation, Editing and Proofreading) => Complicated, time-consuming management process. Same as above: many professional freelancers are able to do so by teaming up with trusted colleagues. The process needed is not particularly complicated for most projects, and is probably less time-consuming when undertaken by a team of translators than when handled by a translation company (fewer steps involved). We commit a long-term cooperation through signed contracts and agreements. Freelance translators or teams of translators are as able to sign contracts and agreements as a translation company. Saying or implying otherwise is casting a slur on the professionalism of freelance translators. This translation company is unwittingly insulting the very same freelancers it then needs to translate the jobs it receives from its clients. Large, rush requests are not a challenge with our abundant resources. The elephant in the room here is that any translation company ultimately will pass on these “large, rush projects” to freelancers: no translation company - not even the largest - has more than a few translators on staff (if that). So the “abundant” resources they boast of come from the same pool of resources used by all other translation companies: freelance translators. What a good translation company can offer is project management and searching ad selecting the necessary resources. Depending on the size of the project (and on the skill of the translation company) this can be a valuable service. One contact for all TEP process. This can be an advantage offered by translation companies, but more often than not clients will find themselves in a situation in which they still have to deal with multiple people: the translation company may have an account manager as principal point of contact with a client, but then the actual work is handled by project managers, and often the projects from a single client are handled by multiple project managers, who, in turn, also handle projects for other clients. There certainly are situation in which clients are best served by a well-organized and reliable translation company. And, yes, these situations are usually large projects translated into multiple languages, But there are also many scenarios in which clients would be better served by relying on a small group of trusted translators. Clients that want the best possible quality in their translations, in fact, should choose this route: it is only when a client establishes a real long-term relationship with professionals committed to learn all that the client requires, wants and needs, that translations of the best quality are possible. The most important reason why clients should work directly with individual translators instead of "LSPs" (Lame Service Providers): unlike brokers who claim that they can translate any subject from and into any language, translators actually know what they are doing. Seriously though, the quoted blurbs remind me a bit of how difficult it is to fill a brochure with eye-catching words and sentences in a sea of competitors. This agency falls into one of the most common traps of writing: contradictory statements. For example, freelancers can't offer long-term commitments but agencies can vis á vis contracts. Far from seeing it as an insult to freelancers, I see it as a dumb assumption about people in general, as if the common man couldn't know the basics of commercial contracts and agreements. By the way, I don't call myself a freelance translator. I'm a translator, period. I may qualify the services I provide (“I'm also a multilingual typesetter in InDesign,” for example).